Since right before Marc interviewed President Barack Obama, I’ve been listening to his podcast. 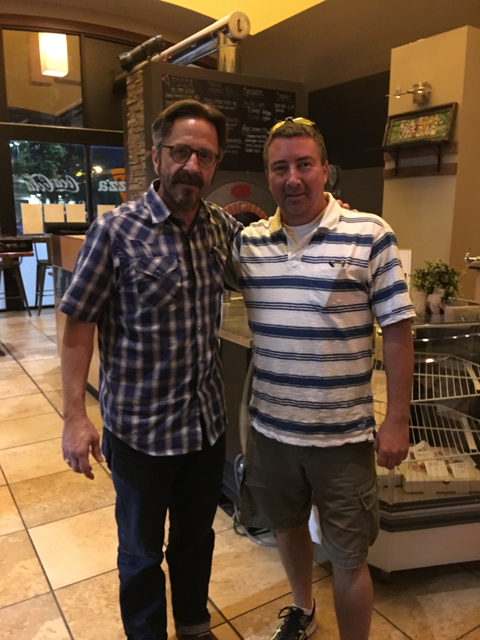 So when he came to Salt Lake City to do a comedy show this summer, I decided I shouldn’t miss the opportunity to hear his comedy [which was really good] and meet him in person. He’s very personable in person and his stories are something that are pretty damn funny. Since I came in almost 600 episodes after he started his podcast in 2009, and given all of his archives on only officially available on a 3rd party service, I’ve gone back to listen to several others, via YouTube. These are a couple that I enjoyed.